Following an announcement from early June, former Beatles band member Paul McCartney released his “Egypt Station” album on 7 September. Early reviews have so far have acclaimed the album for balancing his classic themes with experimentation to produce an album that is free from redundancy, while sticking to his roots with a sound that his fans will undoubtedly recognize. 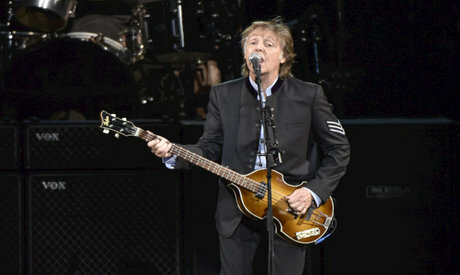 The album is McCartney’s 17th solo studio album after his time with the Beatles, and his first in five years. McCartney, who is now 76, toyed with retirement following the end of the Beatles more than 40 years ago, but has shown a burst of energy as a septuagenarian and toured the world for much of 2016 and 2017. The album is reportedly 90% executed by the multi-intrumental musician, who said he wanted to make a full album in an age where singles are dominating the music scene. It includes two previously released singles, “I Don't Know” and “Come On To Me”, as well as new titles including “Who Cares”, “Caesar Rock”, “Hand in Hand”, “Dominoes”, and “Back in Brazil”. Egypt Station is named after a 1999 painting by the musician and artist, depicting sunflowers and animals under a blue sky.